The number and cost of identity fraud cases rose in 2009, according to Javelin Strategy & Research, a San Francisco-based provider of research on financial services. Some 11.1 million people were identity fraud victims in 2009, up 12 percent over the prior year, and the total annual cost of fraud jumped by 12.5 percent to $54 billion. There is some good news, though--efforts to improve detecting and reporting fraud appear to be paying off. The average time for resolving fraud cases dropped 30 percent to 21 hours, and almost half of the victims filed police reports. There were double the number of reported arrests, triple the number of prosecutions, and double the percentage of convictions in 2009 compared to the previous year, according to Javelin. Researchers attributed the faster response time to the work of financial institutions, businesses, and government agencies in identity fraud prevention efforts. Credit card companies, for instance, now offer more customer tools for monitoring accounts, such as e-mail and cell phone transaction alerts and 24/7 access to online statements. Consumer education has helped inform people not to respond to phony e-mails from impostors posing as their credit card companies in phishing scams. The fraud survey, now in its seventh year, is the nation's longest running study of identity fraud. Last year was the second consecutive year that fraud increased, and the number of cases reached their highest level since Javelin began the annual survey in 2003. The report also showed that crooks are getting savvier with using technology to steal personal information from data breaches and open new fraudulent accounts. Of the identity fraud victims, 39 percent reported new fraudulent credit card accounts were opened in their names, up 33 percent from 2008. Three-quarters of existing card fraud incidents involved credit cards, up 12 percent over 2008, while existing debit card fraud cases dropped by 2 percent. 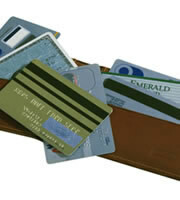 Young people ages 18 to 24 were the slowest to detect identity fraud. It took them twice as long to detect fraud than older adults because they monitored their accounts less frequently, although they were more likely than other adults to install anti-malware software after fraud occurred. Meanwhile, small-business owners were 1-1/2 times more likely than other adults to be victims of identity fraud, mostly likely because they make more transactions than most people, using credit cards and other accounts for both their business and personal lives. 0 Responses to "Credit Card and other Identity Fraud Cases Up by 12 Percent, Research Finds"